On Saturday, May 11th from 10:00 a.m. to 1:00 p.m. join neighbors in a citywide parks clean-up day! 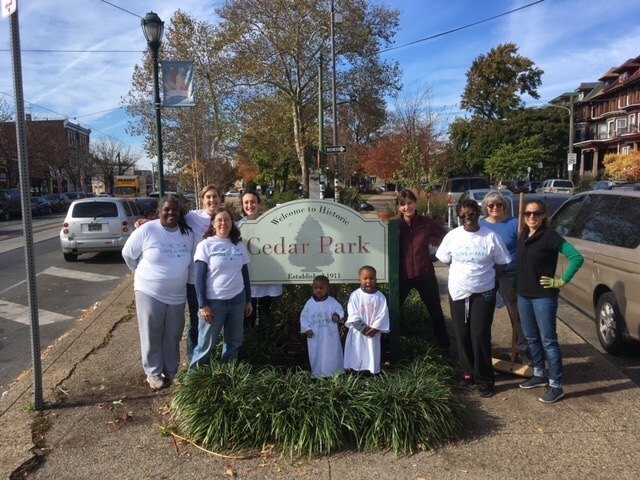 In conjunction with Fairmount Park Conservancy and Philadelphia Parks & Recreation, the Parks Committee of Cedar Park Neighbors will host a work day in Cedar Park at 49th and Baltimore. Meet in the park to get our community green space looking great for spring. We need community volunteers to help keep our park clean and safe. The cleanup will happen as planned unless it is actively raining. 4820 Chester Avenue - Permit for erection of a semi-detached structure with two (2) roof access structures for use as multi-family household living with eighteen (18) dwelling units. The Zoning Committee of Cedar Park Neighbors will attend this meeting convened by designated coordinating RCO Southwest District Services, and will report back to the city’s Zoning Board of Adjustments, which ultimately decides the variance request. Please come out and be informed. If you cannot attend this meeting and wish to comment to CPN, please contact us at zoning@cedarparkneighbors.org or 267-BALT-AVE (267-225-8283). 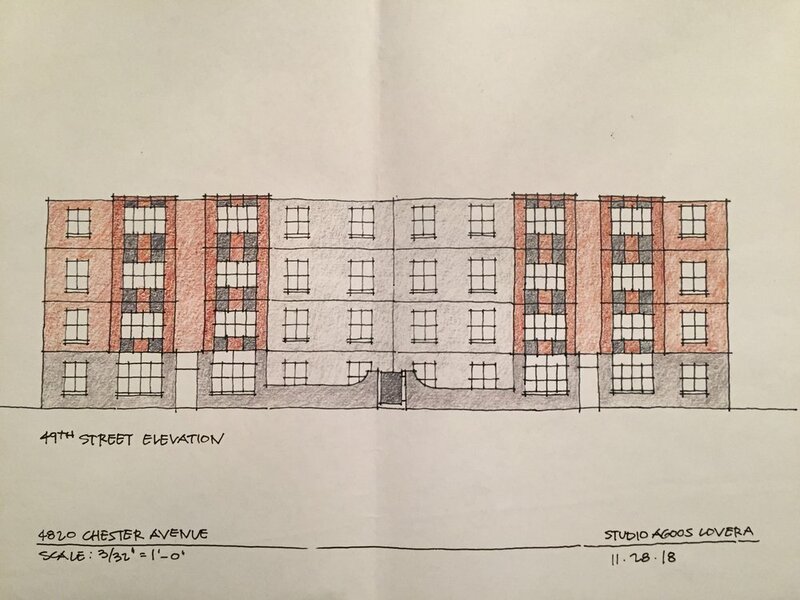 5007 Cedar Avenue (Ahimsa House), owned by Margaret Ferrigno, requested a Zoning variance from the City of Philadelphia for a permit for a three (3) family dwelling (multi-family household living) within an existing three-story semi-detached structure. As a Registered Community Organization designated by the city, Cedar Park Neighbors (CPN) convened public community meetings on the variance request to report back to the city's Zoning Board of Adjustments (ZBA), which ultimately decides variance requests. Property owner renews this variance after 3 years. The results of the vote and CPN's intention to write a letter of support for the variance was announced at the end of the meeting. The Cedar Park Neighbors' Zoning Committee is currently in the process of drafting the letter of support to present to the city's Zoning Board of Adjustments, and will share the full letter once finalized. University City District, Cedar Park Neighbors, and local mural and fine art company Hagopian Arts are working together to install a ground mural at Cedar Park, and we want your input! Help us choose between three nature-inspired mural designs. The winning design will be added to the small plaza at the eastern edge of the park. Thank you to the more than 50 neighbors who came out to Dock Street in uncertain weather for our 12th Annual Gary Bronson Memorial Scholarship Fundraiser on April 14th! We are additionally grateful to Ainy’e Clarke, one of 2018’s TWELVE scholarship award recipients, who was able to join us and share the genuine impact these funds and community support have had on her and her studies. These scholarship funds exemplify the spirit of neighbors helping neighbors! 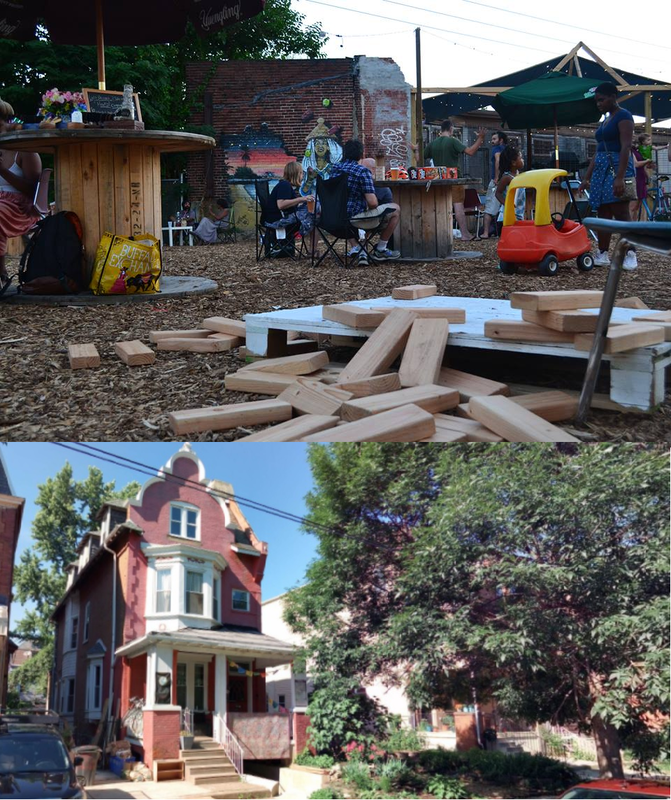 To date, this year’s median donation is $100, and over 79% percent of our donors live in Cedar Park with almost the entire remainder coming from other West Philadelphia neighborhoods. We have raised approximately 70% of the funds necessary to match last year’s award numbers and amounts, and keep scholars motivated with care packages and academic break get-togethers. To help us reach our goal, donate online or write a check to “Cedar Park Neighbors” memo line “Scholarships Committee” and mail to 4740 Baltimore Avenue, Philadelphia, PA 19143. Donations of any amount are appreciated! Sponsor donations with opportunities for recognition remain available - levels listed below. Additionally, Cedar Park Neighbors’ Annual Meeting on Monday, April 15th will feature a Scholarship Applicant Information Session. The 2019 Gary Bronson Memorial Scholarship applications will be available in early May with the deadline to apply will be June 15, 2019 5:00 p.m. EST. .
Special thanks to our in-kind contributors, DJ Anthony Porter, Dock Street Brewery for helping defray fundraiser food costs, and Clarkville for covering the scholars’ Winter Social. Finally, please mark your calendar for Friday, July 12th for the Gary Bronson Memorial Scholarship award ceremony in Cedar Park at 49th and Baltimore. The ceremony will take place during the 7:00 p.m. set break for the evening’s Cedar Park Jazz concert. In addition to presenting the scholarship awards to recipients, we will also be recognizing our sponsor level donors. 7:30 p.m. - 5110-5120 Pentridge Street (Pentridge Station Pop-Up Beer Garden) - Business owner requesting community support to operate for 2019 Summer season. 8:00 p.m. - 5007 Cedar Avenue (Ahimsa House) - Second meeting for permit for a three (3) family dwelling (Multi-Family Household Living) within an existing three-story semi-detached structure.